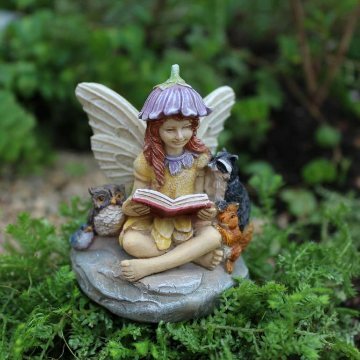 Fairy Jamie sitting on a rock reading a story to her many animal friends. - Coat with polyurethane varnish to protect�from weathering. - Take care with�sharp metal pick.